Northern Public Radio, home to 89.5 WNIJ and Classical WNIU, wants you to make a date with a local artist – make that 14 local artists whose work is featured in the Northern Public Radio 2016 wall calendar now available for purchase. “This calendar project is just one of our locally focused art programs, which include the WNIJ Read with Me book series and Sessions, a live-music series,” said Maria Boynton, director of community engagement at Northern Public Radio. A limited number of copies of the Northern Public Radio 2016 Calendar is available for purchase for $15 each. 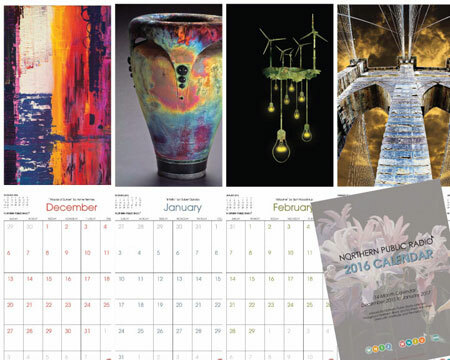 For more information about the calendar, the featured artists, or to purchase a calendar, call (815) 753-9000.